New from Battlefield Legends! 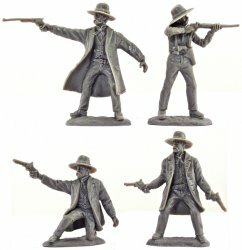 TSSD Tombstone Collection #1 character figure set including Wyatt, Morgan and Virgil Earp plus "Doc" Holliday! This new set features four (4) beautifully sculpted and highly detailed character figures in four (4) poses. 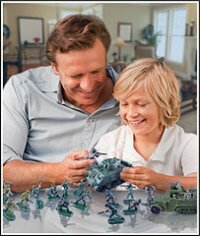 Will make a wonderful addition to any toy soldiers collection or Gunfight at the OK Corral diorama.